A Few Things the Germans Do Better Than You (Unless You’re German, in Which Case, You Do Them Better Than Others) – Eat Me. Drink Me. 2. 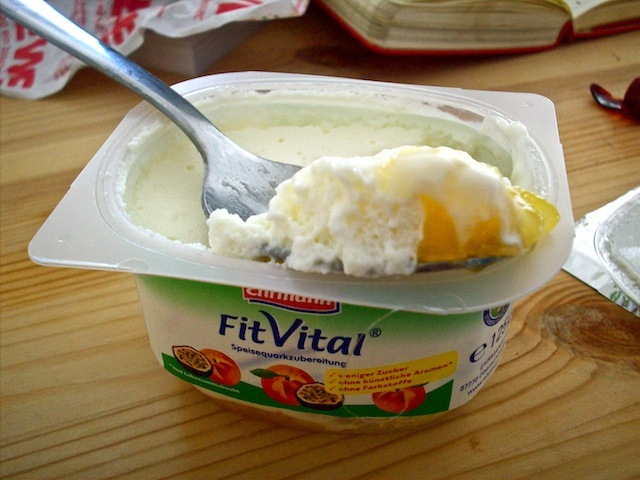 Quark yogurt: Quark is a creamy curd cheese (which doesn’t sound all that good, does it…) used in a number of sweets. 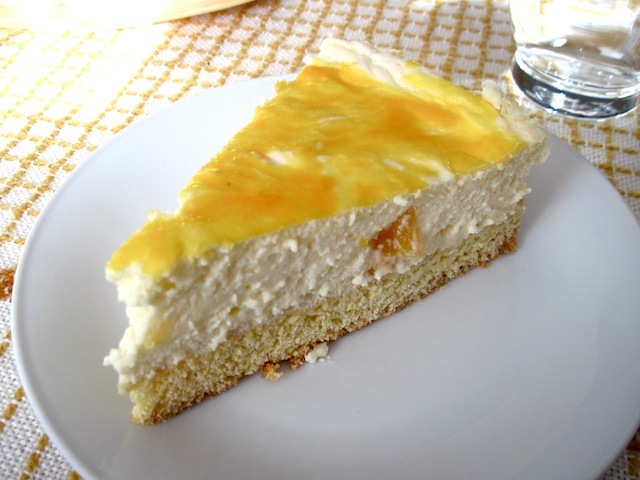 Cheesecake, for instance, can be made with quark instead of cream cheese and the result is a much lighter cake, like custard pumped with air. But my favorite thing + quark is yogurt. My absolute favorite has peach-maracuja fruit on the bottom. 3. Apfelschorle: Apple juice is so boring. Seltzer is so boring. And yet, two boring things together is so unboring. 4. Mayonnaise on French fries: It’s called pommes rot-weiß, French fries served with a dollop of ketchup and mayonnaise, and it’s the only way to eat French fries, really. 5. 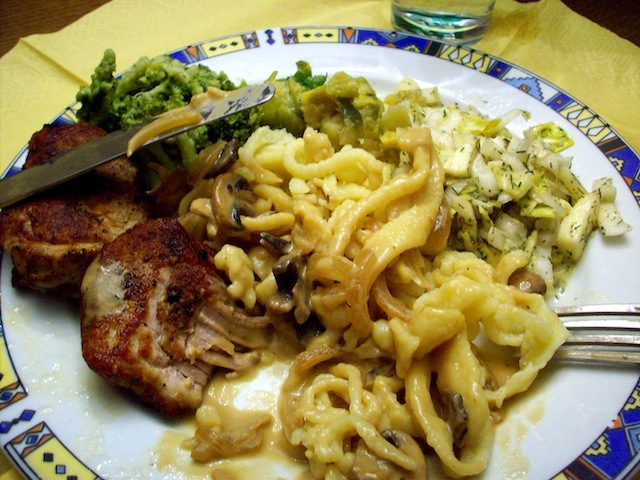 Spätzle: I mean, they’re ugly noodles. Fat little fingers of doughy noodles pressed into a vat of boiling water and pulled out scant minutes later with just the right amount of chew. And they’re endearingly ugly, especially peeking out from beneath a blanket of creamy, umami-laden mushroom gravy. 6. The Imbiss: The original food truck, albeit often without wheels. Everywhere you go, stalls and carts serving snacks and small meals have people stuck to them like gnats on peaches. For very little money, you can find anything from döner kebab to crepes to currywurst (a phenomenon I admittedly don’t understand) and eat it standing at tall, improvisational tables or carry it along with you as you walk. 7. Laugenweckle: Imagine soft pretzels squashed into roll form. Now imagine how amazing it is to have all the deliciousness of that buttery soft-pretzel taste spread over a larger surface area so you can smear even more delicious things on top of it. Like butter and Nutella. 8. Potato salad: vinegar, broth, salt, pepper, chopped onion, oil. Don’t you dare use the word mayonnaise. 9. Bakeries: Puddingbretzel, Beinenstich, Amerikaner – trays of delicious goodies like these (pretzel-shaped pastry filled with pudding, pastry filled with custard and baked with almonds and honey, and chocolate and vanilla iced cookies, respectively) are lined up next to ready-made sandwiches and bread baked fresh daily. 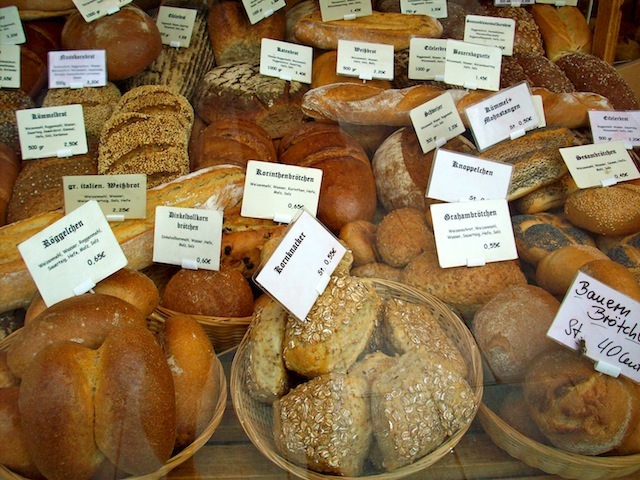 The quality of the bread in most of these bakeries is not always equally good – and very few do their own on-site baking, but I love that there are these bakeries on every corner, making buying pre-packaged bread irrelevant. Better than the donut wall at the grocery store, and that’s saying something. 10. Affordable groceries: At the end of the day, it’s really nice to know that I can actually afford to buy nice things, like good cheese and beer, fruits, vegetables, freshly baked bread – even on just the money I make translating. Because if you can eat well, you can live well. And though I wanted to end with a nice number like 10, there are just two more things I thought of after I wrote 1-10, and I couldn’t decide what to delete, so I decided simply to add. Bonus round. 10a. Schokomüsli – yes, that’s no false cognate. 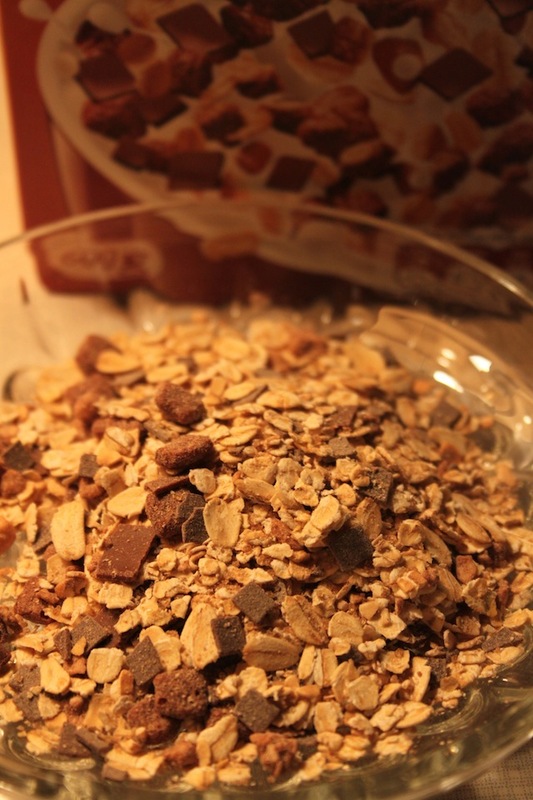 Chocolate and müsli, together at last. You remember müsli, that really healthy granola the Swiss love so much – raw oats, nuts, grains, and other variations thereof with fruit, yogurt, etc.? Yes, well, it’s all that healthy stuff – and chocolate. Brilliant. 10b. Glühwein – I had my first Glühwein of the year at Berlin’s Festival of Lights in late October. 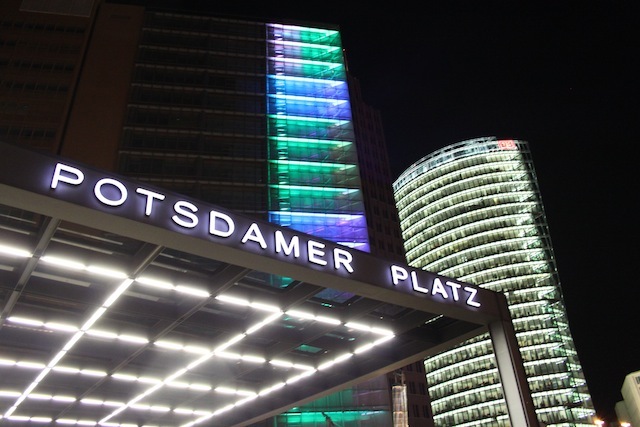 Walking around in the cold October air, looking at the Berlin’s big buildings lit up with bright lights, a hot cup of spiced wine was better than a pair of gloves. Of course, by the time the Christmas season ended, I wouldn’t have minded never having a cup of the stuff again. But the first one is always special. Too funny your xmas movie! Thanks. Once again you made me remember why I’ve always come home from Germany rounder than when I went. I want some. But not pretzel rolls. Save them for Grandpa. If you keep writing about these things I’ll have to consider Berlin for vacation – but only if I could lose 20 pounds first and then stuff myself with pastries. You must admit though….they can’t come close to the apple pies you and Mama make. Apples also taste good with Nutella (without the butter). 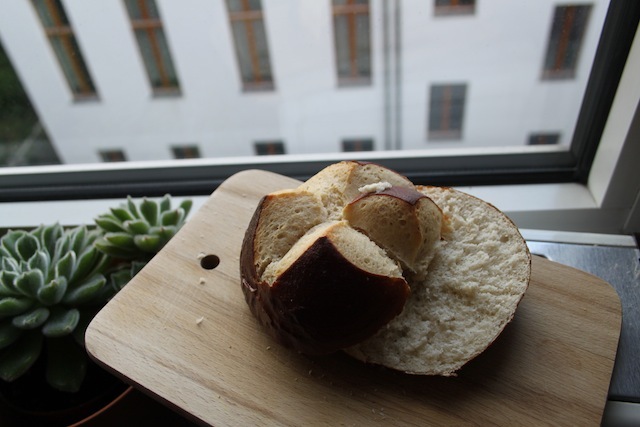 Sounds–and looks–delicious, Lyz! Great post. You left the bacon or ham drippings out of your potato salat. I’m seriously about to hurt you. Also cornstarch, it thickens so it’s not runny. Yummmm….I make really good potato salad, been experimenting for years…that’s it, that’s what I’m eating tomorrow.